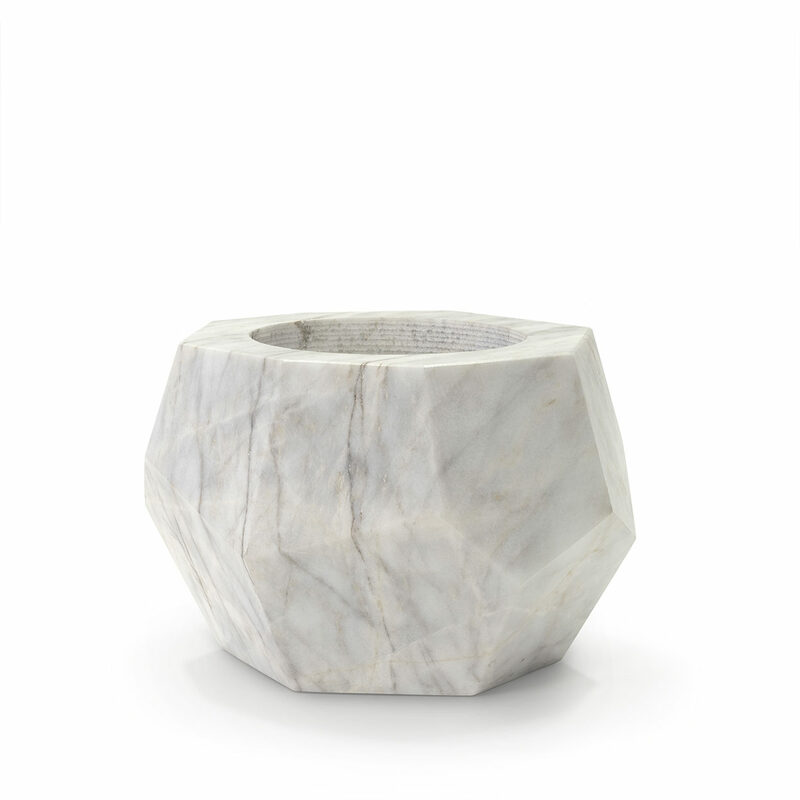 Solid marble is hand-sculpted into geometric shapes. Marble is a natural material and will vary in color, size and grain. No two pieces will be alike. Vases are water tight and are in and outdoor suitable.